Jim McElwain knows how difficult rebuilding a program can be. For a man who helped Nick Saban lead Alabama to two national titles, guided Fresno State to a bowl-win season, and mentored NFL quarterbacks in Oakland — the rookie Colorado State head coach fans call “Coach Mac,” however, the Rams’ offensive woes are a true test of his expertise. In sophomore and multi-game starter Garrett Grayson, he has a QB with experience under center. But CSU has been outscored by a combined 35 points in the past two contests — including a 22-7 home decision against FCS team North Dakota State — after beating a Colorado team that is 0-3. They rank 108th in the FBS in total offense and 110th on the ground. When his offensive coordinator stands across the sidelines from Utah State in today’s battle in Fort Collins, Colo., he’ll be facing a friend. Though oft-maligned for his reluctance to liberalize the passing game, offensive coordinator Dave Baldwin led Utah State’s offense in 2011 to be the sixth-best rushing attack in the nation. In 2011, the Aggies set numerous school records, including total offense (5,945 yards), rushing yards (3,675), total points (437) and touchdowns (60). 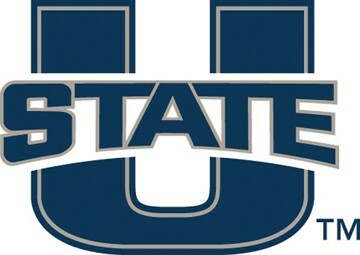 Under Baldwin, the 2009 USU offense ranked 12th in the nation with 439.3 ypg. The Aggies also were 20th in rushing offense (192.6 ypg). Read the rest of this story at: The Ogden Standard-Examiner.